Gain valuable experiences and friendships by getting involved on campus and joining a student organization. UCSD Students for Global Health is a student organization for students passionate about Global Health issues and interested in contributing to the Global Health community on the UCSD Campus.It's a great opportunity to meet like minded students and network on campus. Get involved with issues that you're passionate about! Looking for a Pre-Health Organization? Join the HMP3 Mailing List! The UCSD Health and Medical Professions Preparation Program (HMP3) provides undergraduates with enriching experiences that will enhance their preparation for admission into professional school in the medical and other health professions. Looking to get involved in research? Are you passionate about a global health issue? 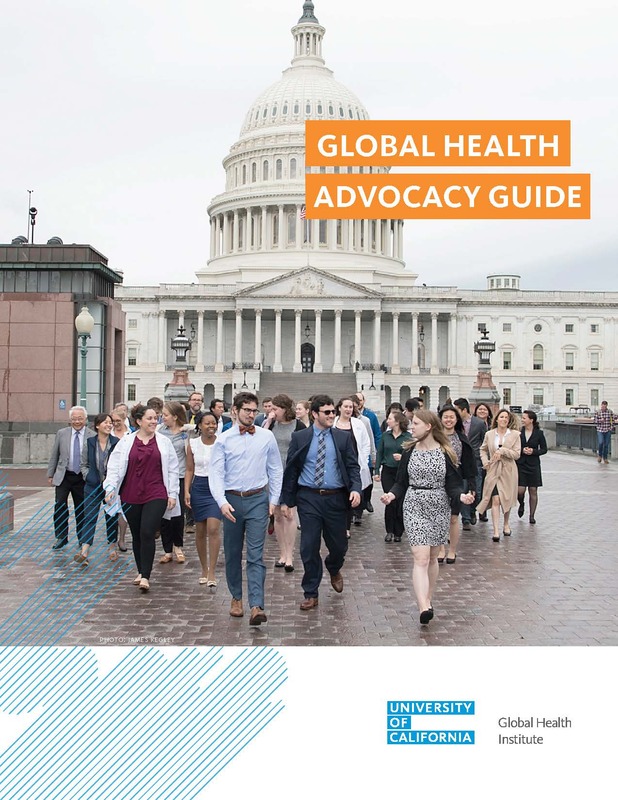 Check out the Global Health Advocacy Guide from the UC Global Health Institute!